We’ve all heard and seen videos of the legendary Indo surf spots. Their reputation precedes them. But, while the majority are challenging indeed, there are quite a few world-class waves to be had for beginners too. 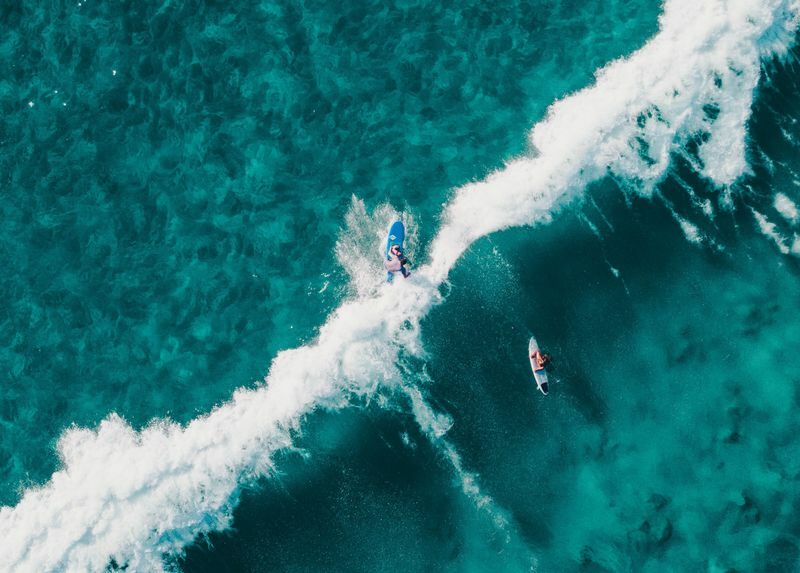 Thanks to its wide variety of waves, friendly atmosphere, year-round warm water, and the abundance of surf camps in Indonesia to choose from, you’re bound to progress fast in this tropical paradise. When is the best time to surf in Indonesia as a beginner? If you’d like to surf with plenty of sunshine, then the dry season (April through October) is when you should go. This is the best time to surf the west-facing surf spots, but you’ll also have to deal with the crowds. June, July, and August are peak season, with the best and biggest waves. This is when many of Indonesia’s surf spots are most crowded, especially in Bali, with packed line-ups and aggressive surfers fighting for a piece of the wave. If you don’t mind the occasional showers and damp weather, then the rainy season does have its perks. Between November and February, the waves on the west coasts are smaller and the crowds are thinner. This is also when the east-facing spots come to life. And let us not forget about the low-season prices. To sum it all up, any time is a good time to learn to surf in Indonesia! 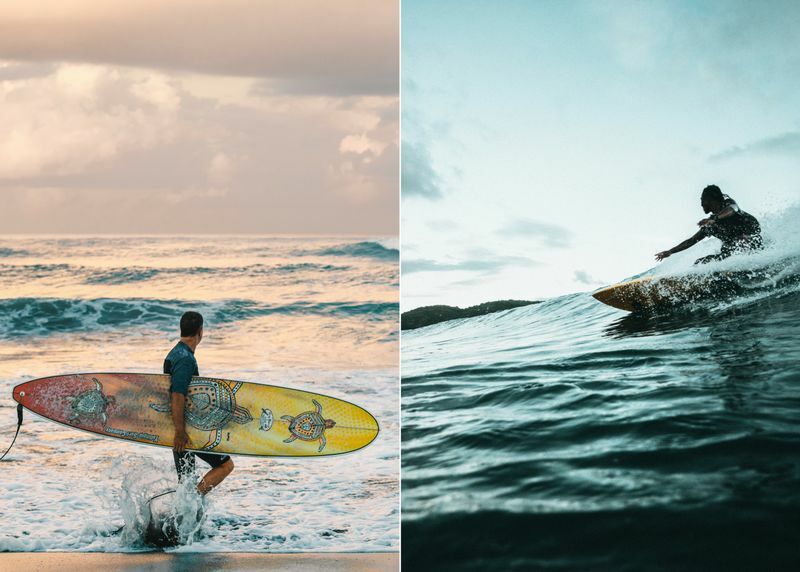 If your idea of a perfect holiday is riding waves by day and partying by night, you need to check out the surf in Bali. 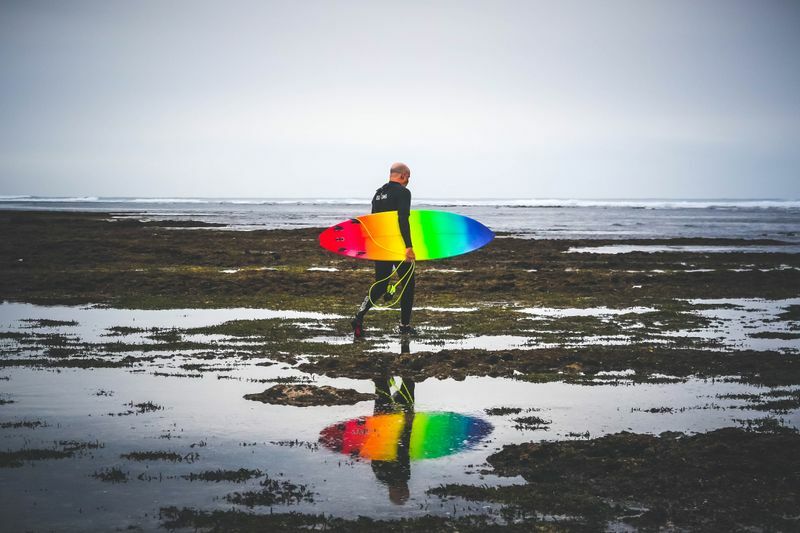 If you’d like to take your first steps on the surfboard in complete solitude, then you’ll find some remote spots too, in Bali as well as in Lombok and Java. Bali’s surf scene is concentrated on the Bukit Peninsula, and Kuta Beach is the number one beginner surf spot on the island. It has small and gentle waves that are just perfect for catching your first waves in a safe environment. What makes Kuta such a popular place for first-timers? To start with, it is easily accessible thanks to its proximity to Ngurah Rai Airport. Then, there are plenty of surf camps for beginners in Kuta. But, most importantly, the waves are soft and mellow, and this is one of the few surf breaks with a sandy bottom on the island. So, it should come as no surprise that it is seriously crowded. Just north of Kuta Beach, Legian is another beach break with a sandy bottom that is a little less crowded and offers longer rides. Kuta Beach, as well as nearby Legian and Seminyak, work better with a mid to high tide, and they rarely go flat. 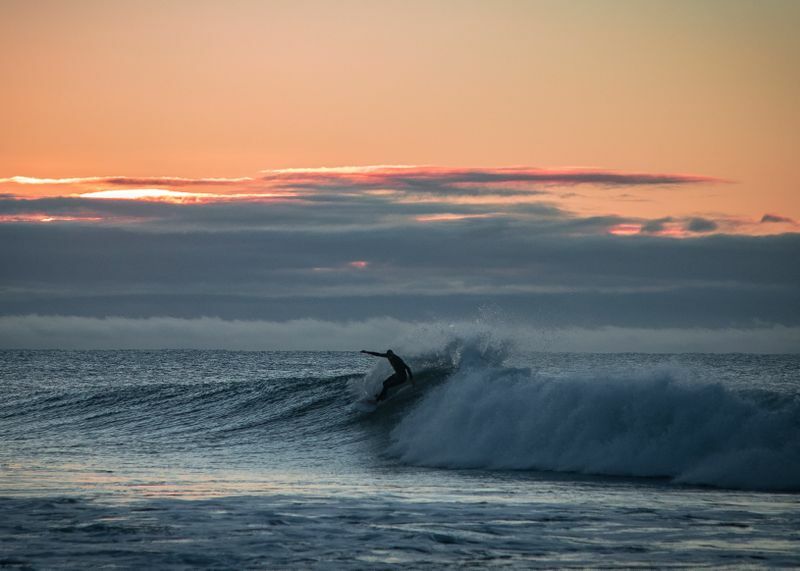 Therefore, you can surf here all year round. North of Kuta, Canggu is more of a surfer’s beach, very different from touristy Kuta and upscale Seminyak. Please take note that Canggu is a destination for all levels of surfers, home to some famous barrels too, and you should not attempt those if you’re just starting out or you’ll risk some nasty wipeouts. That’s why I recommend joining a surf camp for beginners in Canggu that will show you the best waves for your level. 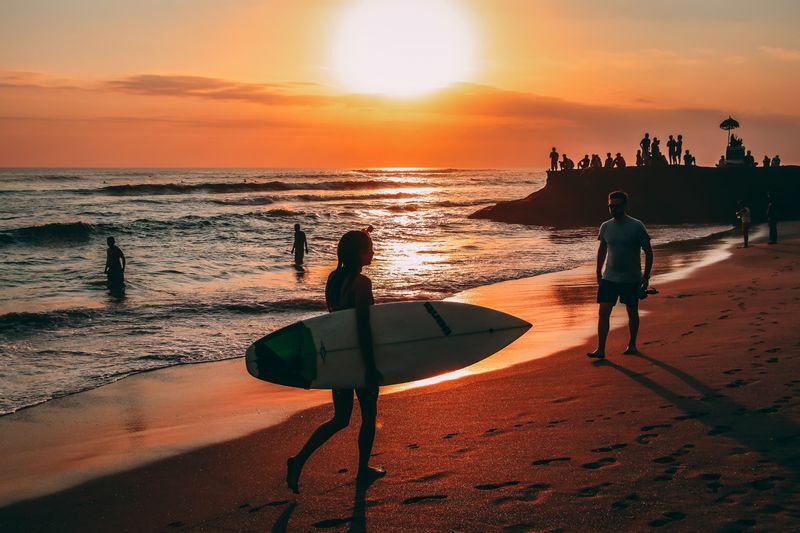 If you’re just starting out, you might want to stick to surf spots like Echo Beach and Batubolong Beach (also called Old Man’s), which have more gentle waves for beginners and intermediate surfers. These beach breaks have a flat reef bottom that is relatively safe. The waves are slightly bigger and faster than those found at Kuta. They work best with a mid tide and they are pumping all year round. A relatively mellow beach break, Dreamland is renowned for its perfect tubes, and is a preferred destination to get barreled for the first time. It breaks over a sandy reef platform and, when the swell is not too big, it offers good conditions for beginner surfers. When the swell gets bigger, over 2 meters (6 ft), it starts to barrel, attracting surfers of all levels. 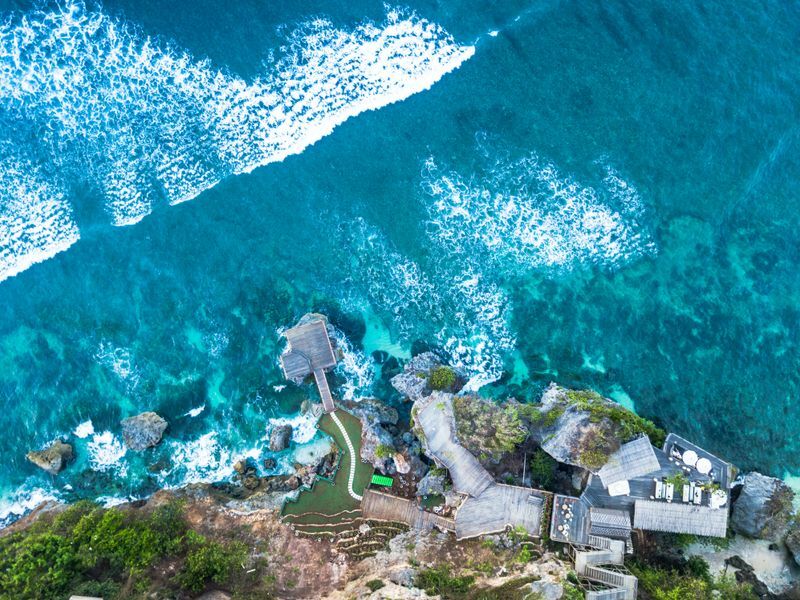 Dreamland is located on the Bukit Peninsula, close to world-famous surf spots Uluwatu, Bingin, Padang Padang, Balangan, and Impossibles. It works best during the dry season and with a low tide. Oh, the legendary Padang Padang…probably the most beautiful surf spot in the world. Don’t get this the wrong way – Padang Padang Left is reserved for advanced surfers only. It is referred to as the “Balinese Pipeline”, so you get the picture. This reef break is fast, high, barreling, powerful, and breaks over a sharp coral reef and jagged rocks. On the other hand, Padang Padang Right is a mellow beach break that breaks both left and right, and is a preferred spot for local Balinese kids to learn to surf. Also known as ‘Baby Padang’, it sits right across the channel from Padang Padang Left. Beginners and intermediate surfers will have a blast trying out these long unbroken waves, the perfect playground for progressing from whitewater to green waves. On the southwest coast, about a two-hour drive north of Kuta, Medewi is the longest left-hand wave in Bali. With a S-SW swell, you can score rides of up to 300 meters (1,000 ft). Don’t let that discourage you – Medewi is, in fact, a mellow reef break with a bottom covered in boulders, so it’s relatively safe. And what better way to hone your skills than by spending more time actually riding waves? Plus, it is less crowded than other surf spots in Bali. Medewi works with a smaller swell too, and it is recommended at mid tide. 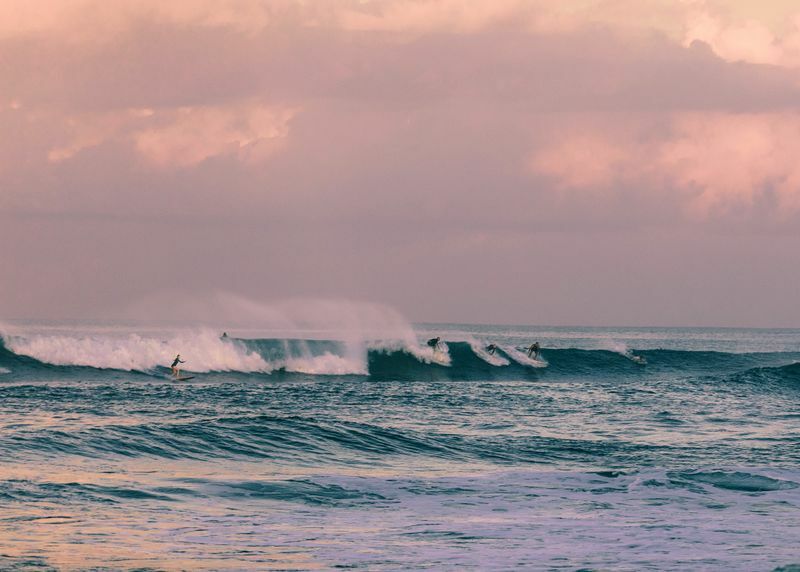 During the wet season, between November and March, you can consider surfing on the east coast of Bali. Serangan Island is connected to Bali through a bridge, and is a nesting ground for green sea turtles. While it’s usually less crowded than Kuta, Serangan does draw quite a crowd, as it’s considered the best east-facing surf spot in Bali. This reef break is a wave machine, generating various lefts and rights regardless of the tide or swell size. The reef is not shallow and with a big swell, the waves are fat enough for beginner surfers to feel comfortable. Many surf schools bring their students to Serangan during the wet season. Nusa Lembongan is a small island just off Bali’s southeast coast, less hectic but equally charming, famous for its cliff jumping spots, hidden coves, and relatively uncrowded surf. Playgrounds is a fun A-frame reef break and the most beginner-friendly surf spot on Nusa Lembongan. It breaks further away from the shore, so you can either paddle to get to it or rent a boat. I’d recommend the latter if you’re a beginner, and most surf schools do provide a boat. The line-up doesn’t get too crowded, but the water is usually filled with catamarans and pontoons. They’ll keep away from the waves though, so you’re safe. Plus, they make for a unique atmosphere, as you can easily jump on board for refreshments in between sessions. Playgrounds has an easy take-off and works best during the dry season, between May and October, with a mid and high tide. You’ll find good surf here during the wet season too. On the south coast of Lombok, Gerupuk Bay is home to three reef breaks that offer long, spectacular rides. Don Don is the most beginner-friendly surf spot of the three. It breaks right in the middle of the bay, and it can get crowded, mostly with first-timers. It breaks both left and right, but needs more swell to work. Inside Grupuk is more suitable for intermediate surfers, but beginners can take a stab at it too if they’re progressing fast. Outside Grupuk is the big brother, with faster and more challenging waves, recommended for intermediate and advanced surfers. The waves at Gerupuk work well both during the dry and the wet season, and are at their best with a mid tide. It’s a long paddle to get to the breaks, so it’s best to pick up a boat from the village or join a surf camp (there are several in the bay) that provides one. Ekas is the next bay east of Gerupuk, not far from Kuta. It is the largest bay in Lombok, home to two remote reef breaks that appeal to all levels of surfers. Ekas Inside is considered the best longboarding spot in Lombok. Thanks to its sheltered location, further inside the bay, it offers great conditions for beginners. Ekas Inside breaks as a peak, the right working better with a low tide and the left better with a high tide. It offers long, perfect rides, but needs more swell to work. Ekas Outside is more exposed and draws more swell. When it gets big, it is powerful and, therefore, reserved for advanced surfers. Both work with all tides and all swell sizes. Unfortunately, the breaks require a long paddle so it’s better to rent a boat. 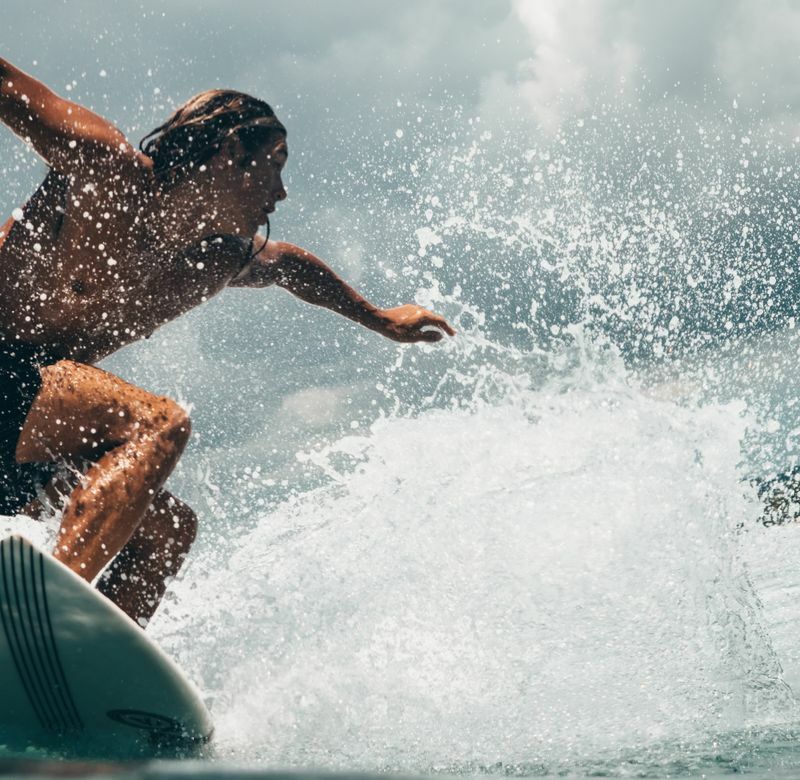 The best time to surf at Ekas Bay is during the dry season, between April and October. Pangandaran is slowly turning into one of the largest beach resorts in Java. 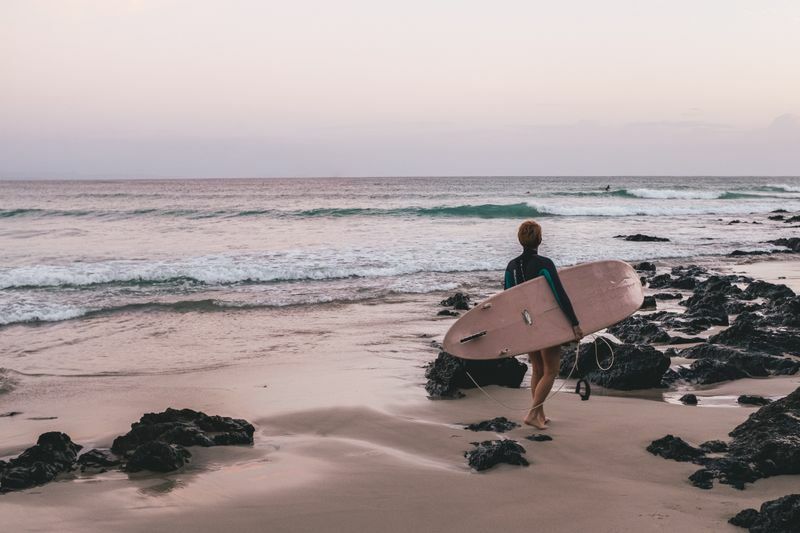 There are several beach breaks along the black-sand beach, which offer great quality waves for beginners and intermediate surfers. The sandy bottom and the variety of waves created by the different sandbanks and swell sizes make for an ideal learning curve. Despite the touristy beach resort, the waves don’t get crowded. Pangandaran is a swell magnet, exposed to almost every available swell, and thus rarely goes flat. Most breaks can closeout when the swell is too big, though. Across the bay from Pangandaran, less touristy Batu Karas is regarded as heaven for beginners and longboarders. 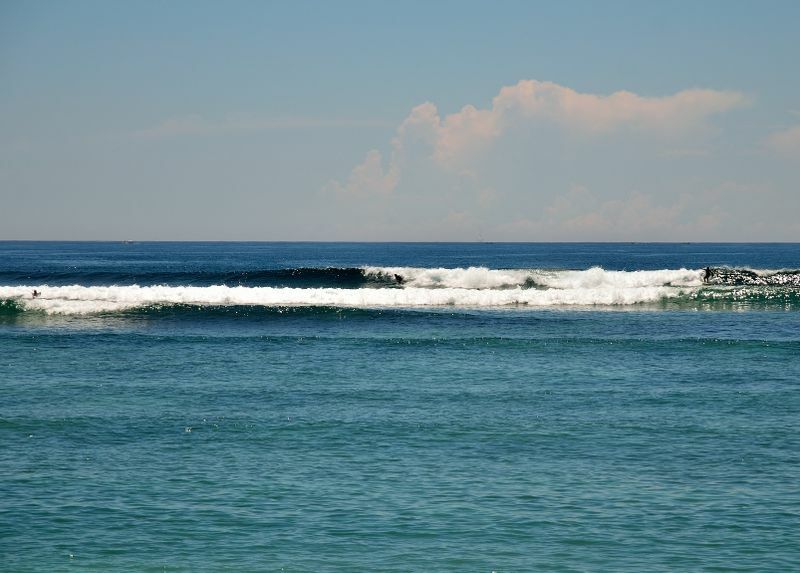 It is also the closest surf beach to Jakarta and, therefore, slightly more developed than other surf spots in Java. There are several surf breaks here, which offer something for all levels, but the most notable is Batu Karas Point. This sheltered right-hand point break is regarded as one of the best places to learn to surf in Indonesia. You don’t have to paddle far, and the waves are long and made up of several sections. This means that beginners can spend more time actually riding the wave. The bottom is forgiving, covered in sand. Towards the shore, Batu Karas turns into a beach break known as Legok Pari, which has even slower rolling waves that are preferred for first-timers and even children learning to surf. Best time to surf at Batu Karas is during the wet season, between November and April, at low and mid tide. Pacitan is a small seaside town nestled in the heart of a picturesque bay lined by a white-sand beach, a 2.5-hour drive from Jogjakarta. 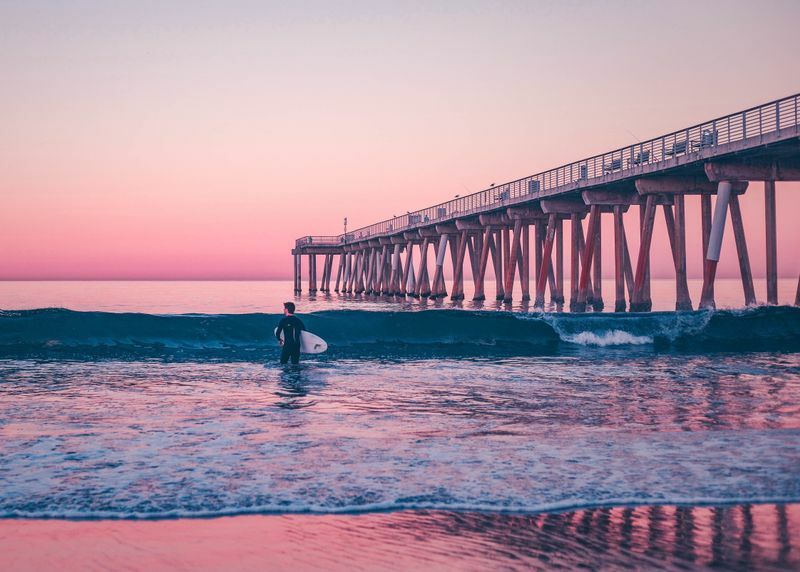 There are several surf spots within the bay, mostly beach breaks, recommended for beginners and intermediate surfers. This is an uncrowded surf spot, a hidden surfer’s paradise, and you can have the beach and the waves all to yourself. The waves are never too big, both rights and lefts. You’ll find good surf in Pacitan any time of the year, and it works best with a low tide. 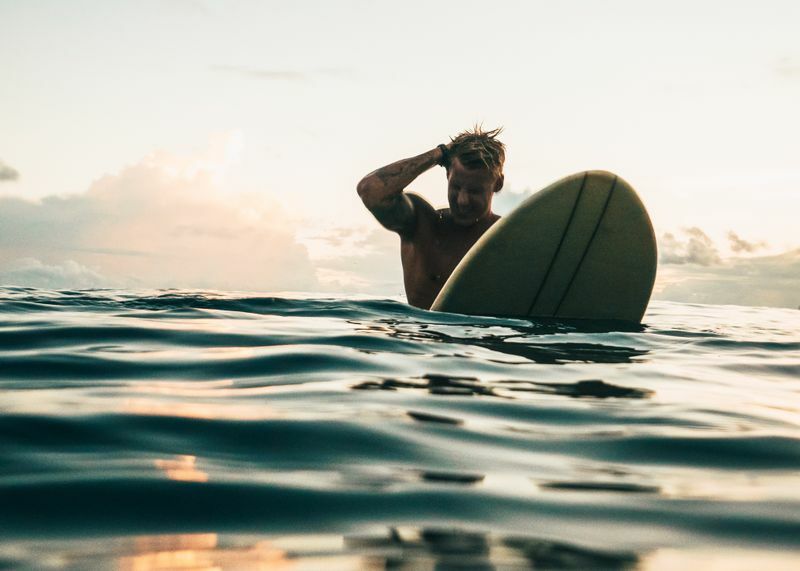 Friendly waves, plenty of sunshine, and warm water make the perfect setting for your first surf lessons. Go on a surf camp for beginners in Asia to enjoy all that and more!